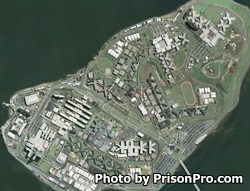 Anna M. Kross Center is a jail located on the Rikers Island complex in New York. The facility houses male offenders and has a capacity of 2,988 inmates. It serves as a mental health center for inmates and contains a Methadone Detoxification Unit. This facility is named after the second Department of Correction's female commissioner.